Home Blog If Jesus is the King, Who is the Queen? If Jesus is the King, Who is the Queen? August 22 is the feast of the Queenship of Mary, one of my favorite of her feast days. Of course, my favoritism likely comes from my uncontrollable fetish for all things Medieval, but I have another reason, too. I love the feast because of the way it came about. Pope Pius XII explained the theological reasons for giving Mary the title of Queen. 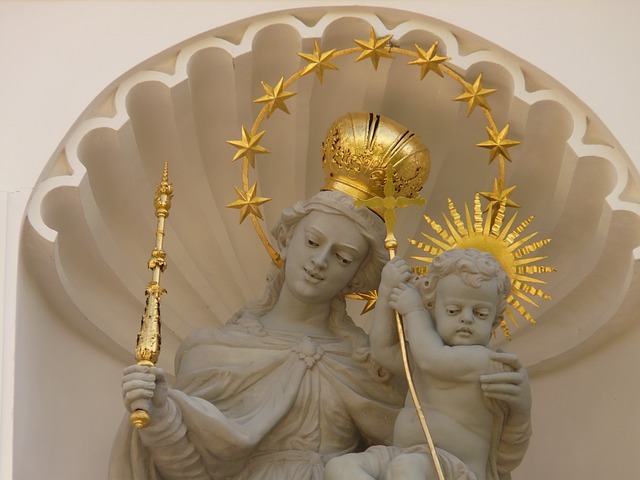 On May 13, 1946, the Pope made a broadcast over the Vatican Radio at Fatima, in which he highlighted Mary’s Queenship in relation to her role in the economy of salvation. Dear Mary, on the feast of your Queenship I wish to re-crown you as the Queen of my heart, my work, and my life. Reign over me, protecting me and guiding me in accordance with the will of the heavenly Father. Please accept this crown as a symbol of my love and devotion for you. Amen. Blessed Virgin Mary, Catholic Church, Faith, Prayer, spirituality. Bookmark.